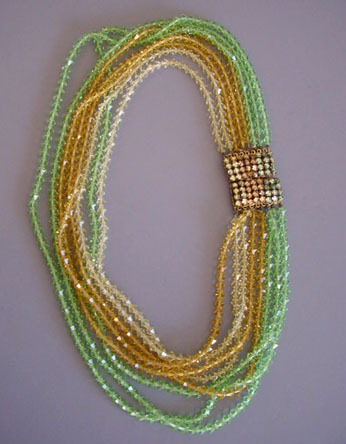 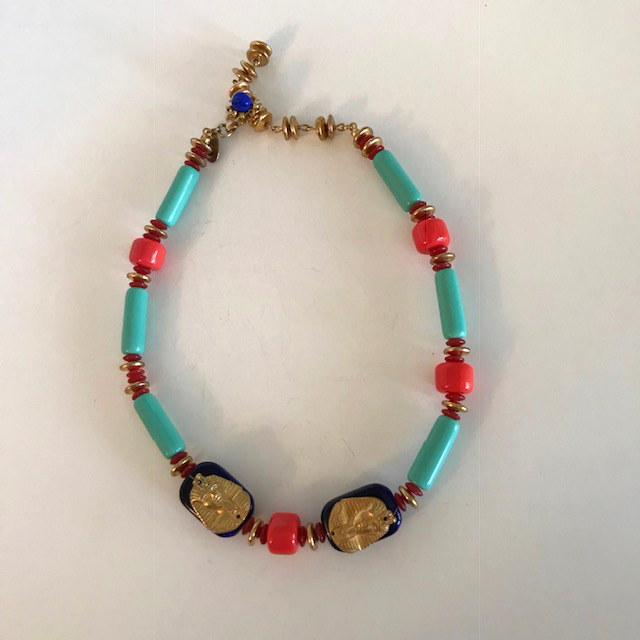 MIRIAM HASKELL by Larry Vrba designed and Egyptian inspired necklace with aqua, orange, and cobalt blue glass beads and gold tone accents, 16" wearable length. 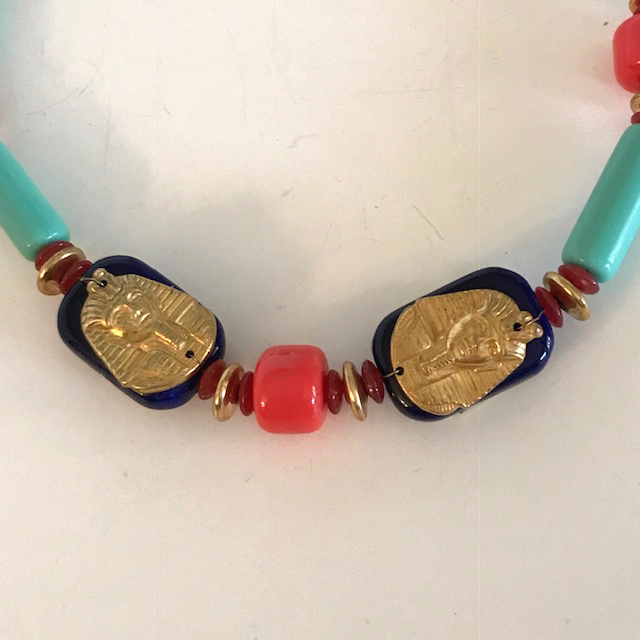 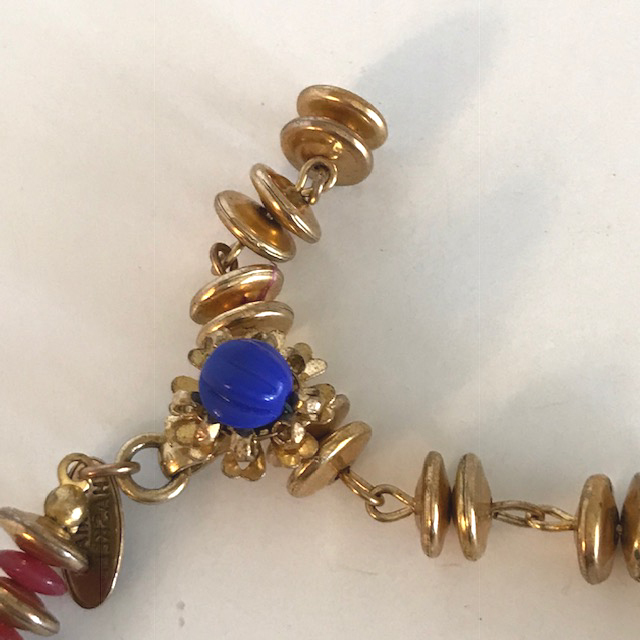 The aqua glass tube beads are each 3/4" by 1/4", the orange glass beads are each 1/3" by 1/2", and the blue glass beads with gold tone Egyptian Pharaoh faces are each 7/8" by 5/8". 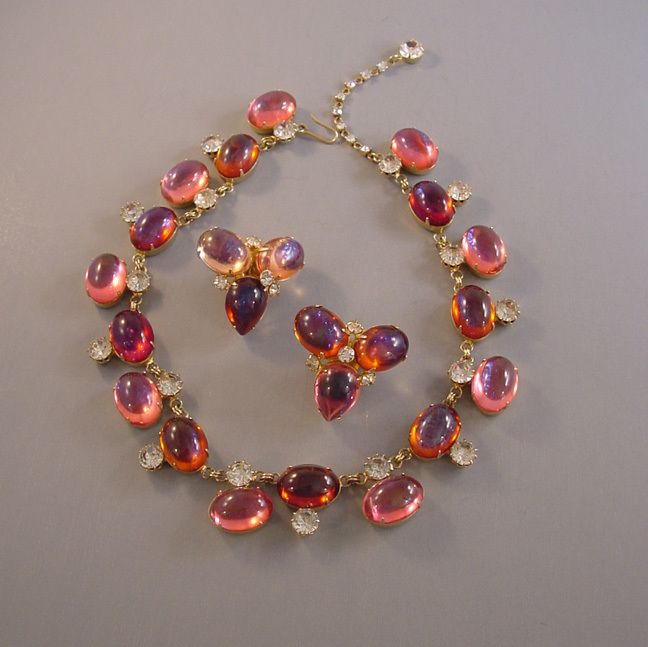 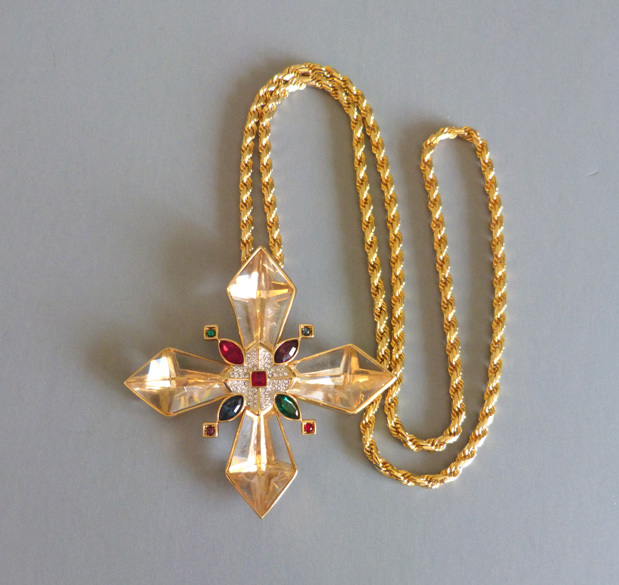 Even the details like the saucer shaped gold tone beads in the tail make this special! 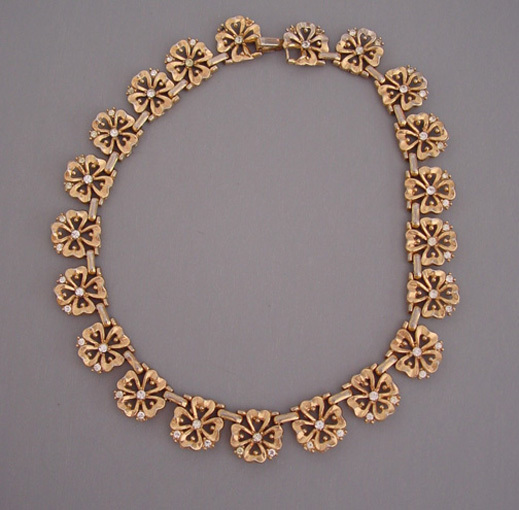 Larry designed this in the 1970 era when he was head designer at Haskell.